Hey there, Westsiders! It’s time to lay out what we have going on at The Westside Local this weekend. We have two wines that we are featuring in a manager’s special today and tomorrow and we’re putting a spotlight on one of our newest additions to the menu, the Local Pig Burger. 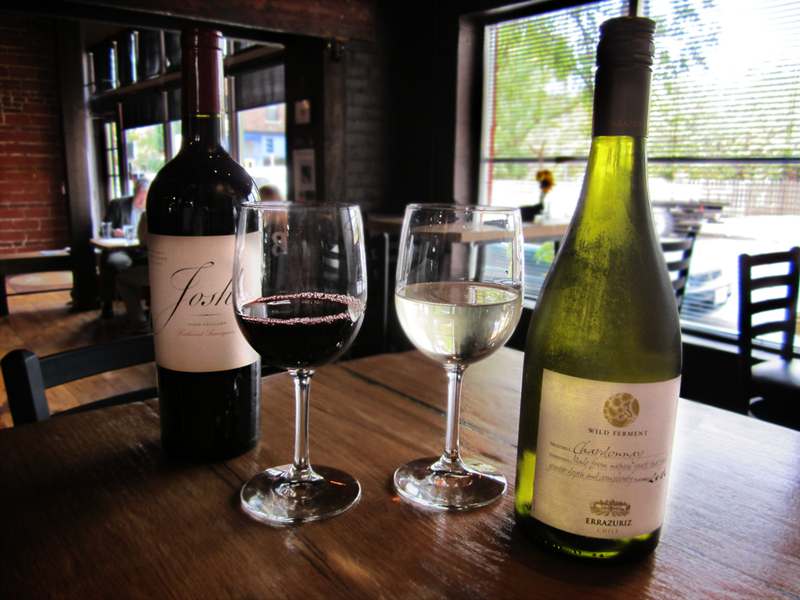 The two wines we are featuring this weekend are the 2010 Joseph Carr Cabernet Sauvignon and the 2010 Errazuriz Chardonnay, both of which are being priced down to $30 for the bottle for today and tomorrow only. The Joseph Carr Cabernet Sauvignon is a North Coast follow up to his famous Napa Valley Cab. It shows flavors of black currant, black cherry and spices with supple tannins and a lingering finish. The Errazuriz Chardonnay is a medium bodied chardonnay with an delightful acidity that gives it a wonderful mouthfeel. Look for tropical fruit notes which slide into quince and honey and then moving into floral notes with a hint of truffle at the finish. 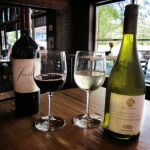 We recommend our Beef Tenderloin entree with the Joseph Carr and our Autumn Quinoa entree for the Errazuriz. On the menu spotlight this week, we are proud to focus attention on one of our favorite sandwiches, the Local Pig Burger. Local foodies already know about The Local Pig, the charcuterie specializing in locally sourced meats. In addition to their variety of hand cut steaks, homemade bacon, gourmet sausages and pates (our Rabbit Pate and Smoked BBQ Bratstarters are also from The Local Pig! ), they make delicious hamburgers as well. We get our 1/2 lb ground beef patties delivered straight from The Local Pig and they are grilled to-order when you come into The Westside Local. But the fun doesn’t stop with just the burger itself. We take thinly sliced Prosciutto di Parma – considered by many to be the finest dry ham in the world – and layer it on top of the burger. Then we top it with sharp white cheddar and let it melt on our grill. A quick topping of our locally sourced, organic microgreens and a spritz of our housemade garlic aioli and we slide the whole sandwich onto a toasted Farm To Market pretzel bun. The Local Pig Burger comes with your choice of French fries, potato salad, the vegetable of the day, our tomato fennel soup or the soup of the day – all for just $15. Additionally, for those who are looking for a bit lighter faire, you can have a side portion of any of our salads instead of our standard sides for a small $2 upcharge. I’ve tried our LP Burger and it is one of my favorite dishes on the menu. I think once you try it. it will be one of yours as well. 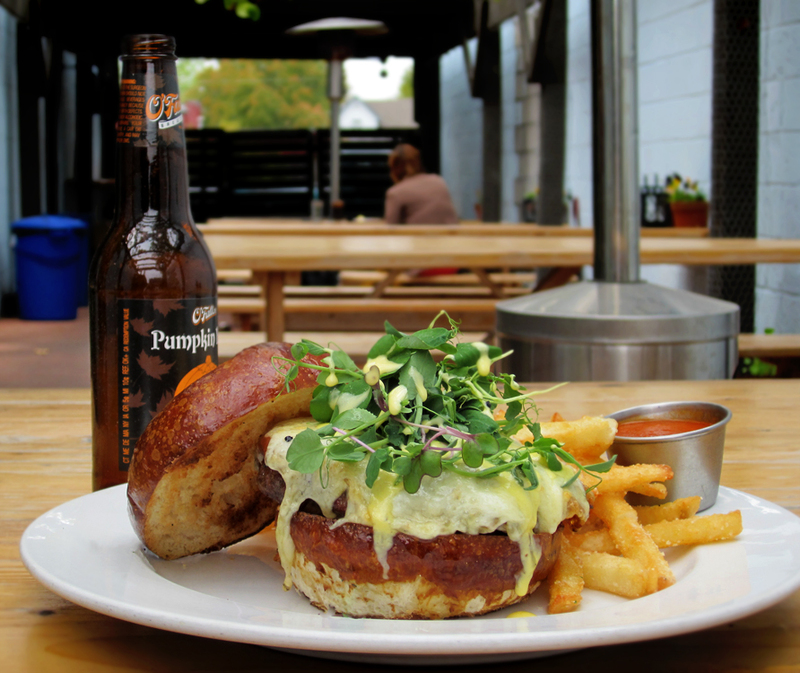 Our featured dish for the week – The Local Pig Burger! $15, comes with side. 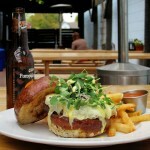 The Local Pig is located at 2618 Guinotte Avenue Kansas City, MO 64120 or online at www.thelocalpig.com. They are open daily from 10:30AM to 7:30 PM.